wondering how to make your paintings sing? With just a little bit of knowledge you can mix paint colors and make your paintings sing with color. Color mixing will become second nature to you. Painting will be a fun adventure! what makes a painting sing? The basic techniques of learning how to paint, composition, focal point, values and color all make "Mister Pelican" sing. The high value contrast makes it a striking painting. Complimentary colors accent the value contrast. It also uses warm against cool colors. If this painting was in black and white, it would not sing. Color is what makes a painting sing! mix paint colors to make your paintings sing! can you mix primary colors? The beautiful primary colors yellow, blue and red are equally spaced around the Color Wheel. 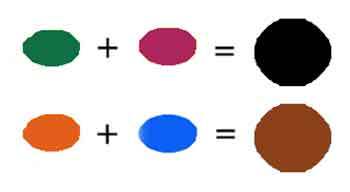 All colors are made from these basic three colors. Primary colors cannot be mixed from any other colors. 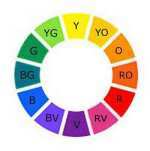 However, all the other colors on the color wheel can be mixed from the three primaries. When we mix paint colors from our palette. We don't have to spend a lot of money at the paint store. make all the other colors. Some top-notch professional artists use a limited palette based on only the primary colors plus white. They mix all their other colors. Professional grade paints contain more pigment and make brighter colors than student grade paint. 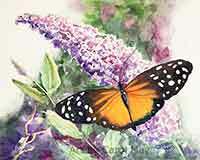 Use single pigment paints to mix clean, clear colors. What paint colors are on my palette? Get your paint colors out and mix these colors. It's fun and you will be surprised how easy it is. 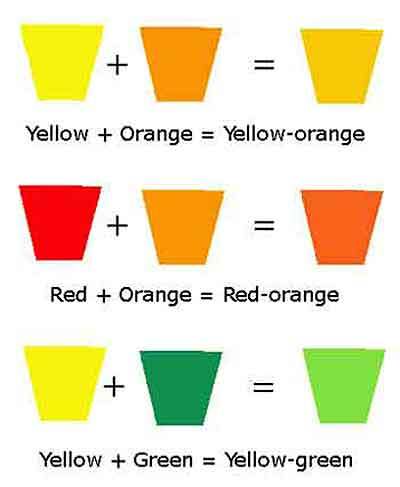 Mix two primary colors together to get the secondary colors of orange, green and violet. Mix paint colors with a palette knife; it saves paint. 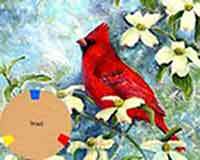 Colors that are not thoroughly mixed give more interest to your paintings. Learn how to make variations of green. Adding black to any color makes a shade that is darker and duller than the original color. Mixing grey with any color creates tones. Mix white with any color to get tints of the original color. Adding white to a color gives it a chalky appearance. 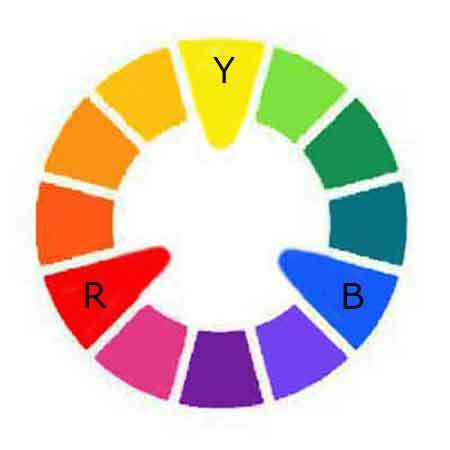 An artistic way to lighten and brighten a color is to add the lighter color next to it on the color wheel. For example, to lighten orange, add yellow. The color will remain bright and lively without a chalky appearance. More about mixing color a book from Amazon. Click for a color mixing video. why spend money on paint colors you can mix? Do it like the professionals. Mix your own colors. Any color containing yellow is considered a warm color. 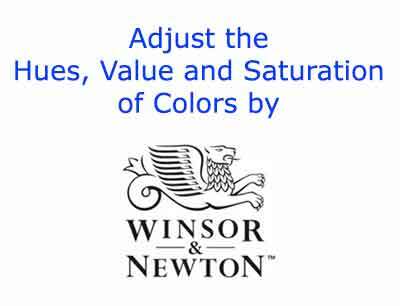 We mix warm colors with the primary color yellow or the secondary color orange, which contains yellow. Warm colors are known to "advance" toward us. 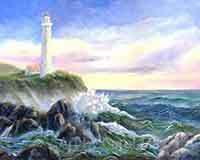 They normally are used in the foreground and middle ground of a painting. Also, they are used to make areas of an object look closer. If we are painting an orange, the center part which is bulging toward us, would be painted warm. The sides that turn away from us would be painted cooler. Colors containing blue are considered cool colors. When you want a cool color, mix paint colors with the primary color blue. 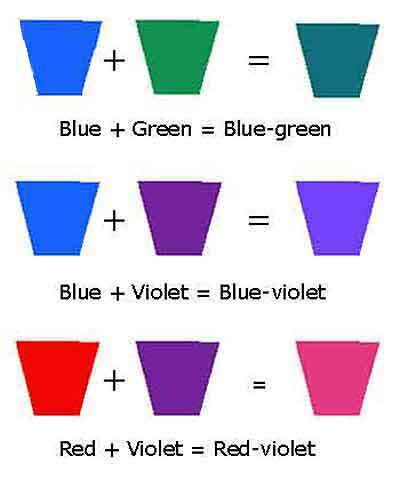 You may also mix a color with the secondary colors green or purple because they contain blue. Cool colors recede in the painting. They look farther away. Mix a bit of blue into the background areas to create distance in landscapes. Make the edge of an object turn away with the addition of cool colors. We also can use cool colors to set one object behind another. 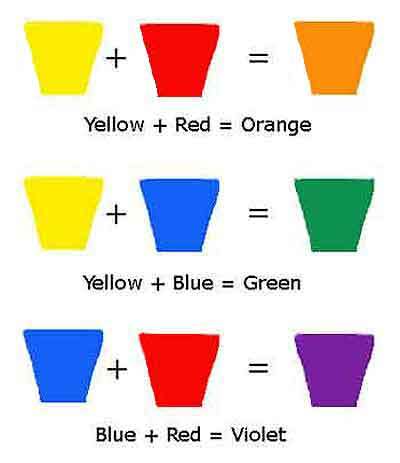 Mix the three primary colors blue, yellow and red together. Or mix two complimentary colors together. 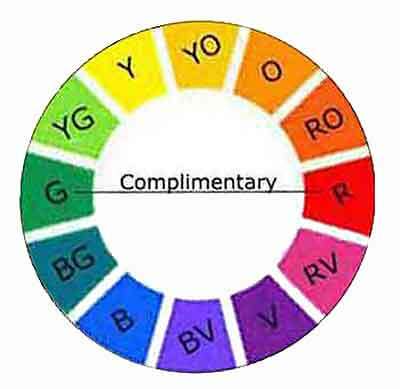 Complimentary colors are any colors across from each other on the color wheel. The compliments of the primary colors yellow, blue or red are always a secondary color. Secondary colors are a combination of two primaries. When we mix a primary with its compliment, we are actually mixing the three primary colors together. Example - Mix primary red with its compliment green. 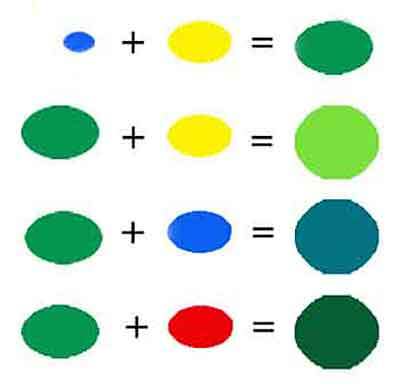 Green is made from the primary colors yellow and blue. Red and green combine the 3 primaries to make a dark color. 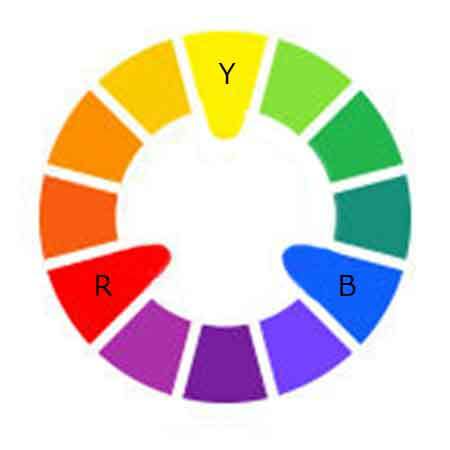 Look across the color wheel to find the compliment of any color. Professional Tip - Mix your dark colors from the colors you are currently using in an individual painting. 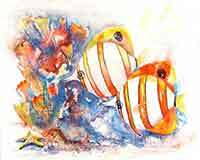 The mixed colors will harmonize with the painting because they come from colors already in the painting. Viridian Green and Alizarin Crimson easily make a black. We may slant the black toward green or red by adding additional Viridian or Alizarin. Burnt Sienna and Ultramarine Blue can make a brown or a black. I often use this combination in tree trunks. Adding more Ultramarine will make a warm black. Or use more Burnt Sienna to make a warm brown. Viridian and Alizarin make black. Blue and yellow mixed together make green. Thalo Blue is a very strong color. Use just a bit of it with your primary yellow for a beautiful green. Always add the dark color to the lighter color, not the other way around. Add more yellow for a brighter spring green. Add more blue to get a blue-green. Add red, the compliment of green for a darker, subdued green. Practice mixing your colors and make your paintings sing!